Simple hacks to install kodi on Fire TV and Firestick. Install kodi on fire TV using downloader app, Es Explorer, Apps2Fire and adblink and computer. A TV stick is among the crucial tools you will need in your day to day activities as it makes it possible to access crucial programs, watch movies and even stream live events. But how do you get to use a fire TV Stick or a fire TV without kodi? Firesticks and fire TVs are android based devices and the use of kodi makes them quite dynamic. Once you install kodi on firestick, you will not only be able to access fire TV stick functionalities but also high speed streaming and reliable addons. How Do You Install Kodi On Firestick? 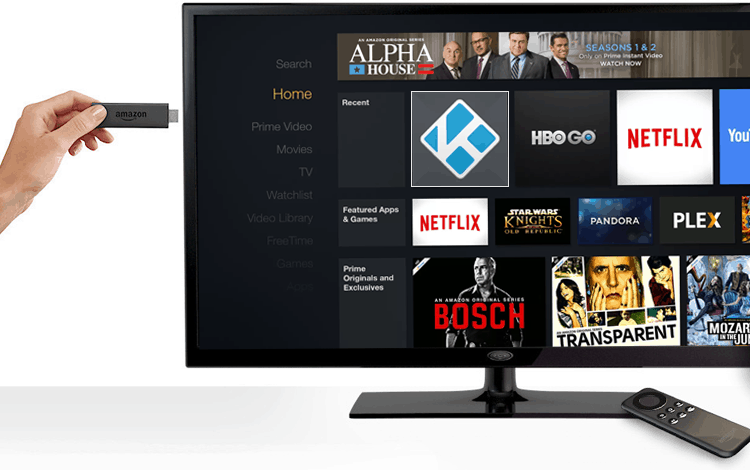 Some merchants have made a point of selling fire TV and fire TV sticks with pre-installed kodi. EntertainmentBox does that, check it here. If you already have a Fire TV or Fire Stick you will need to install Kodi by yourself. Many people find it hard to install kodi on their fire TV or fire TV stick. The good news is that we have the complete guide on how you can install kodi in just a few steps. The process followed to install kodi on firestick is similar to that used to install kodi on fire TV. Both devices use advanced modern fire TV operating systems. The only difference is the design. It is true that fire TV runs on more advance and more powerful hardware. The storage too is better and this makes it faster. As you will realize, the storage can be expanded with the use of an SD card. This way, you will be able to accommodate more items. Your streaming will also be swift and less troublesome. Fire TV and fire TV stick have a setting that restricts installation of third party applications. This is the first setting that you need to change before you can install Kodi on firestick. Once you have started your fire TV, click on the settings option. This will allow you to access the system menu. Scroll down to the developer options. Here, toggle on the button that reads ‘apps from unknown sources’. Confirm that you want to install from unknown sources. With that in check you can now proceed to install kodi on firestick or fire TV. Which Is The Easiest Way To Install Kodi On Firestick Or Fire TV? 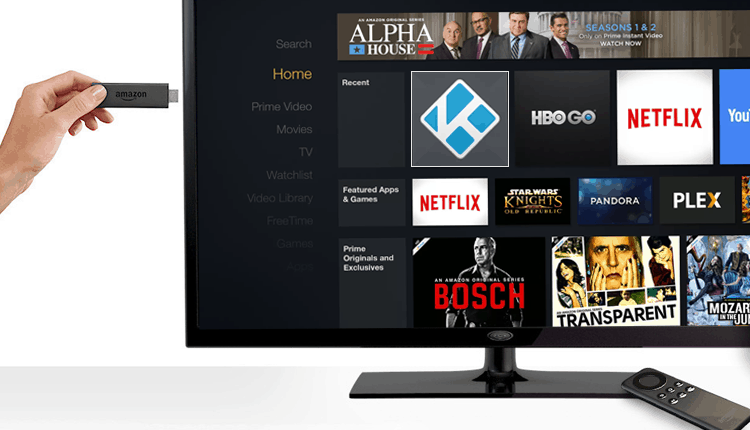 Boot up your Fire TV and utilize the Search box to discover the Downloader application. Currently, it has an orange and white logo. It is important to point out that this is in the apps category. Therefore, ensure that you are in the Apps and Games category in your device menu. Downloader ought to consequently start to install, after which the Download or Get button will transform into an Open Click on it. Kodi will be installed on your device. Select Done and pull out to the primary menu. You can then launch your Kodi from the Apps segment of the main Fire TV stick or Fire TV menu. Make a point to turn on your VPN first! Start your Fire TV. Use the search bar to locate the ES file Explorer. This is an app. As such, you will need to search for it in the Games and apps category. Use your remote to select the app. You will discover a button that reads Download or Get. Click on the button. The app will start to download and install immediately. Allow the download to finish. When done, click on the open This allows you to launch the ES file explorer. On the left side bar of the ES Explorer, there is the tools bar. Use it to access the download manager. In the download manager, click the +new tab. This is found at the bottom of the screen. For ease of access, name the file in a name that will be easy to remember. Click on the ‘download now’ This initiates the download process. Once the download is successful, you will get two open options. Select ‘open file’ followed by Install. Kodi will be installed on your device. Click done. The download and installation process is complete. You can launch your kodi from the applications category but only after turning on the VPN. Boot the fire TV and head straight to the main menu. Here, navigate to the settings bar. Select system and click on About Network. Launch kodi for the device’s apps section. As always, remember to turn on your VPN. This is the process that is becoming popular with Mac, Linux and Windows users. The following are the steps to follow. Plug in your fire TV stick or Fire TV in your television. Go through the setup process. This includes registering an Amazon account with the device. Under the About tab, go into Networks. Write down the wireless access point you are currently connected to. Go to your computer. Download the adblink, kodi and the ES Explorer. Connect adblink to the fire device. This is done by typing in connection settings with ip address noted earlier. Select install APK within adblink. Browse to find kodi and side load it. Repeat the same process to install ES File Explorer. Geo-blocked addons and applications can give you a rough time especially if you are not in the US. Today, many applications and addons are in use in the U.K but have been geo-blocked. The only explanation as to how they are used is the use of a virtual private network. A VPN makes it possible to by-pass geo-restrictions with ease. IPVanish is a great VPN that has proven to be reliable and results oriented. It encrypts your internet traffic and makes it hard to be traced by rerouting it through an intermediary server. This allows you to choose a location that is open for use. For your kodi to stream and give you value for your money, you need a fast VPN that is not only secure but also very dynamic. It is also important that you go for a network that has no data cap. Click here for some of the best VPNS for kodi. IPVanish warms many kodi users’ hearts as it meets all these criteria. It works perfectly with all kodi addons and is easy to install on fire TV or Fire Stick. Having analyzed the smartest ways to install kodi on your Fire TV stick and Fire TV, you are now in a better position to choose the method that works for you. Kodi is a powerful software that brings diversity to your TV/ stick making it possible to access a wide range of content including films, sports, TV Shows and gaming options. You will appreciate the difference it brings in your box or stick. If you do not want to go the long route of installing kodi, you can get a Fire TV stick or Fire TV which has pre installed kodi. Just remember to have your VPN in place. This will still be necessary even with pre-installed Kodi. With the VPN your streaming will be efficient and you won’t need to worry about unsecured geo-blocked streams. You can get 57% discount on IPVanish clicking in this link. Enjoy you’re the versatility kodi brings to your Box/ stick. Thanks for your comment. I’m glad you are happy with our install guide.